We have two events scheduled on the same day, but on different coasts. On Tuesday, July 17th we’ll be hosting events in both Princeton, NJ and Oakland, CA. For those in Jersey, we’ll be drifting away from our usual home at Labyrinth Books for the Princeton Public Library. This will be a special event coinciding with the “Libraries Rock” summer reading program. The event will start at 7:00, and go until 9:00. As always, if you’re interested in presenting, send us an email at Register@PhonographicMemory.org. Also, if you haven’t stopped by the library recently the Princeton Record Exchange has set up listening stations, and put out curated crates of records for your listening pleasure as part of the summer reading program as well. For those in California, Ashleyanne will be hosting an event at the Temescal Branch Library in Oakland. That event will also start at 7:00PM. 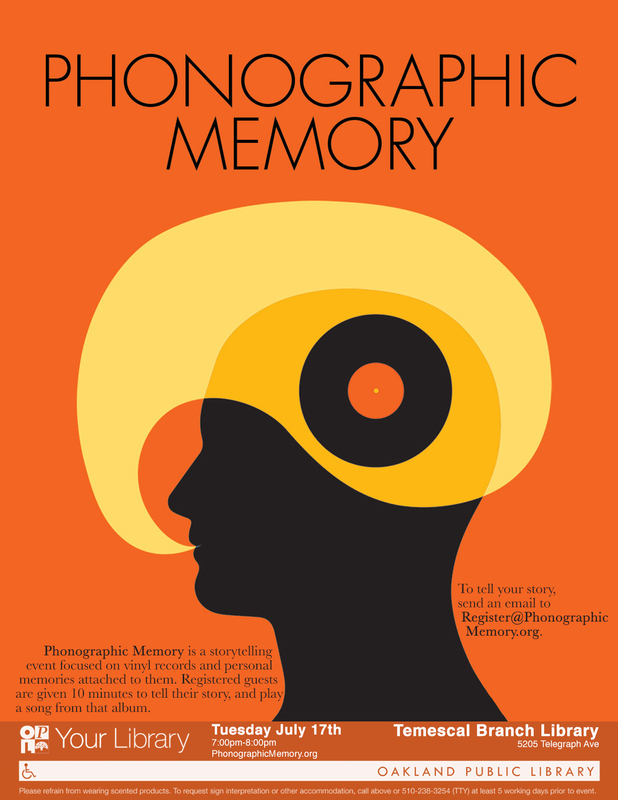 If you’re in the area, and are interested in presenting the email is the same, Register@PhonographicMemory.org.